Those beans are very similar, but what is the difference? 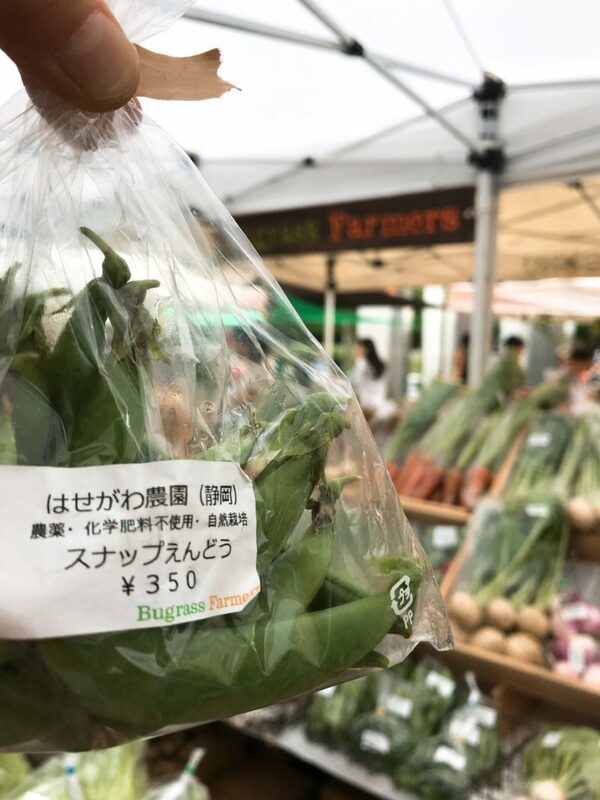 This is “Snap Endo” in Japanese and this is “Green peas”. The difference is whether pods can be eaten or not. You can eat pods of Snap Endo. You can eat only beans for Green peas. I see…. How do we eat? Can you eat raw? Yes, you can eat very fresh Snap Endo raw or boil them in hot water with salt for 2 minutes. My favorite is green peas rice. Cook rice with raw green peas in cooking rice. That’s it! 明日はスナップエンドウとグリーンピースを山盛りにして、青山ファーマーズマーケットでお待ちしてまーす！Waiting your visit with a mountain of Snap Endo and Green peas at Aoyama Farmers Market this weekend!